Welcome to OCR Buddy’s blog on our brand new and updated website. OCR Buddy has been a vision since before the 2015 race season. We are very proud to bring it to you. 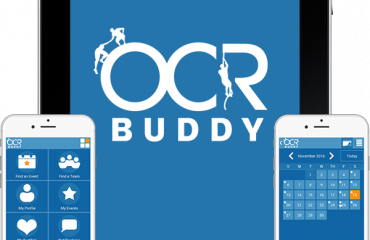 This website, as it is set up today, is only the beginning of your online experience with OCR Buddy. Currently, we have sections that allow you to see this blog, contact us, view our partners and featured events, see quotes from our Buddies and a few other things. We have bigger plans. The only blogger here will not be me. I want to hear from you. I want to introduce other Buddies to you through blog posts. You may know some by name and others you will know after reading their piece. We will have blogs from Race Directors and others who run events. They will tell you about their labors and love and what their events mean to them. Also, you will hear from admins and other leaders of teams and groups. There are so many communities in the OCR world and the only way that we can grow closer and stronger is to learn about one another. Soon, you will be able to enter your events through the website. We know that many of you are at your computers during the day and it does take time to enter the events through your phone. We want to make it as easy as possible, so this event entry portal is coming soon. One day, and we will surprise you when this happens, you will be able to log onto OCR Buddy directly through the site. You need to have an account, just like you do now, but you will have access through a mobile phone or online. We will feature events that are coming up. We will feature our partners. We will feature our Buddies’ photos, as some of your pictures are truly amazing. As OCR Buddy is all about the users and our Buddies, this website will be the same. We will run it, maintain it and moderate it, as we do with OCR Buddy. But, in the end this website will be all about you and we look forward to learning about each and every person who has chosen to become a Buddy. We want to hear from you with your questions and comments. You can reach me through the “Contact Us” section of this website, through email at russ@ocrbuddy.com or through Facebook by messaging me or OCR Buddy. Thanks so much and welcome to our next first step. Until next time, be epic and Keep Playing in the Mud!